I made these delicious meatballs with a kick for a recent get together with friends to play games. 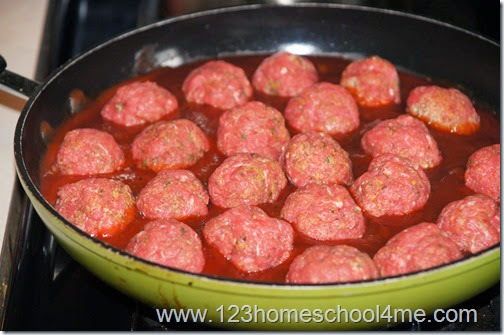 They were a hit and I thought I’d share my meatball recipes with you. 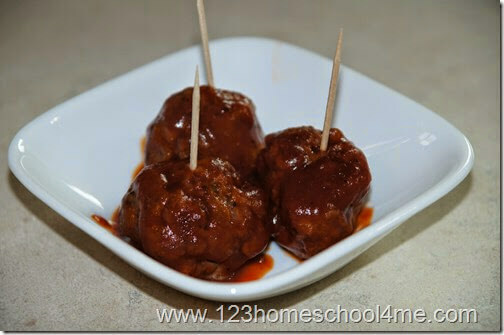 Appetizer BBQ Meatballs Recipe are a family favorite! They are easy to make and oh-so-yummy! We use grass fed ground beef. 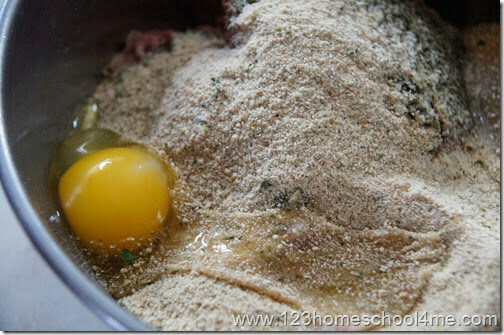 You will want 2-3lb to make an appetizer for 8-12 people. 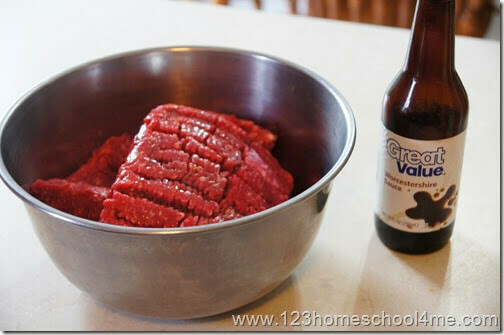 In a bowl mix in 1 TAB Worcestershire sauce per lb of meat. 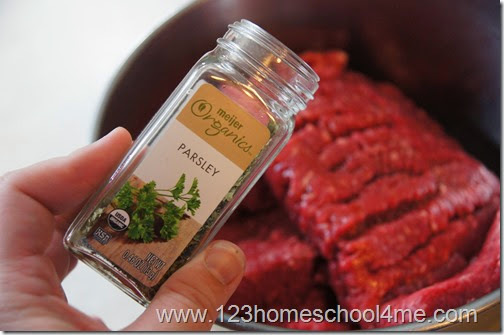 Add 1 TAB Parsley per lb of meat. Add 1/2 lb per lb of meat. Finally add 1 egg per lb of meat. 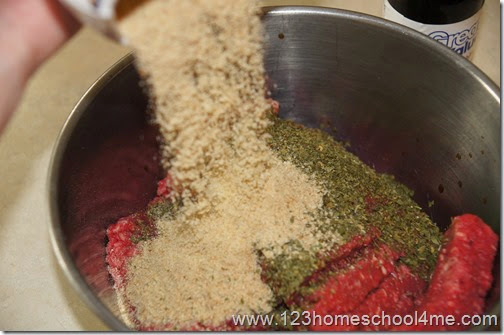 Using your hands mix all the ingredients together until thoroughly combined. 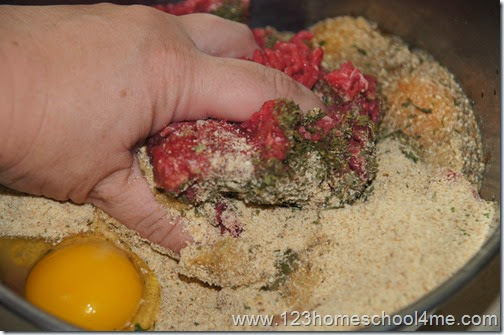 Now make walnut size balls out of the meat mixture. 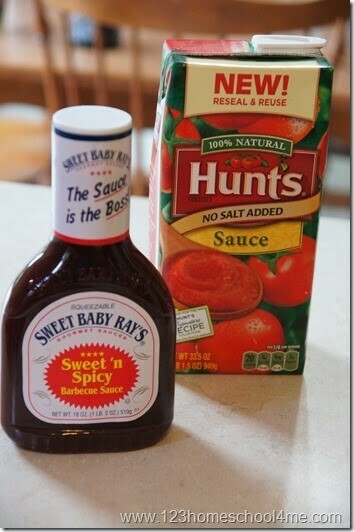 In a large pan put 1 16 oz bottle barbeque sauce [we love Sweet Baby Ray’s Sweet ‘n Spicy Barbecue Sauce] and 1/2 cup tomato sauce. 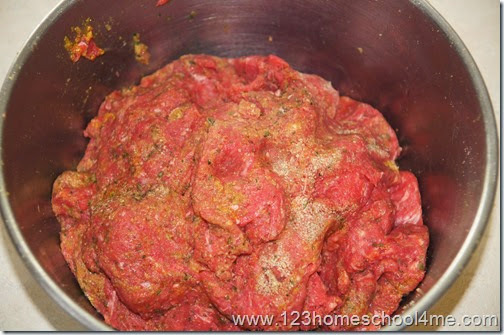 Put meatballs in the BBQ sauce mixture and cook over medium high heat for about 12-15 minutes, turning once or twice. You can serve your meatballs immediately or stick them in the Crockpot with plenty of sauce to “keep warm” until ready to eat. I’ve kept them on “warm” setting with sauce for 4 hours and they are delicious!